In celebration of its ten-year partnership with LeBron James, Nike has unveiled the next signature sneaker of King James, the LeBron X. 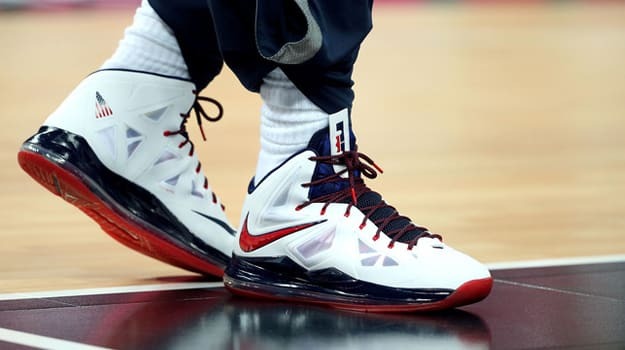 Worn by LeBron during the Olympic gold medal game yesterday in London, the LeBron X basketball sneaker is one of the most dynamic pieces of footwear ever built. Drawing inspiration from the toughness of diamonds, the shoe features excellent impact protection and responsiveness to help one of the best athletes in the world perform at his best. With its lock-down fit and ample cushioning, the shoe is made to go that extra step towards greatness. The LeBron X features some of Nike&apos;s most advanced innovations including Hyperfuse construction, Flywire technology, Zoom Air, and the Nike+ Basketball technology. Check back for release dates.